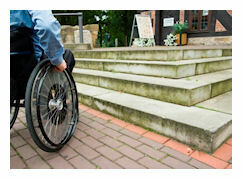 Access All Areas provides disability discrimination claim assistance to all UK businesses, hotels and shops. The best overall way of avoiding a case of disability discrimination claim being brought against you as a service provider is to address your access and egress issues before they become a problem. This is the aim of our “reasonable adjustment” access audit service. However not all businesses have undertaken this level of protection and many eventually find themselves facing a claim of disability discrimination against them by a disabled person. We can assist you by advising on whether or not we believe the claimant has a viable case against you as well as assisting with making “reasonable adjustments to help reduce the risk of a further disability discrimination claim occurring in the future as well as settling any ongoing claim. We have assisted many service providers, legal establishments and recently a great increase in “no win – no fee” lawyers acting on behalf of disabled people that rightly or wrongly feel they have a discrimination claim that has caused them distress or injury. Disabled people have a right to receive the same level of service or treatment as a non-disabled person, if that cannot be achieved then a reasonable adjustment to how you provide your services must be made in order to prevent a disability discrimination claim. It may well be that you have made that reasonable adjustment and you have no case to answer, we can help you by investigating what you do have in place. When it is evident that discrimination has occurred we will advise you on what we believe to be the best course of action to avoid a costly court case as well as a serious blow to the reputation of your business. 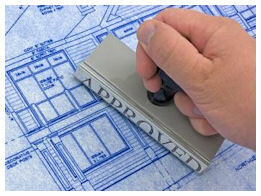 Alternatively drop us an email with details of your requirements and we will respond as soon as possible.